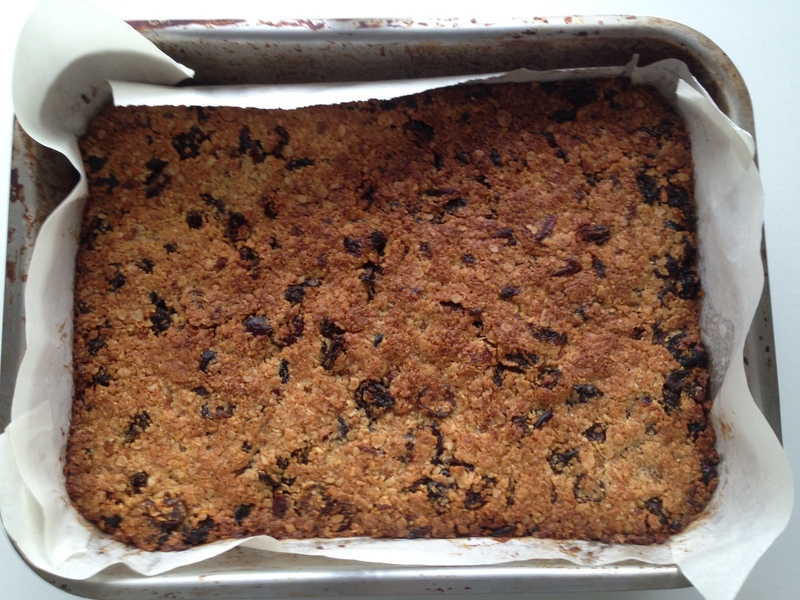 Set the oven to 180ºC and grease and line a 20cm x 30cm baking tin with baking parchment. I used greaseproof paper and found it impossible to get some of it off the edges (one of the reasons I was forced to eat so much of it while cutting it up). Put the butter and syrup in a saucepan and heat until the butter has melted. Put all the other ingredients into a bowl. 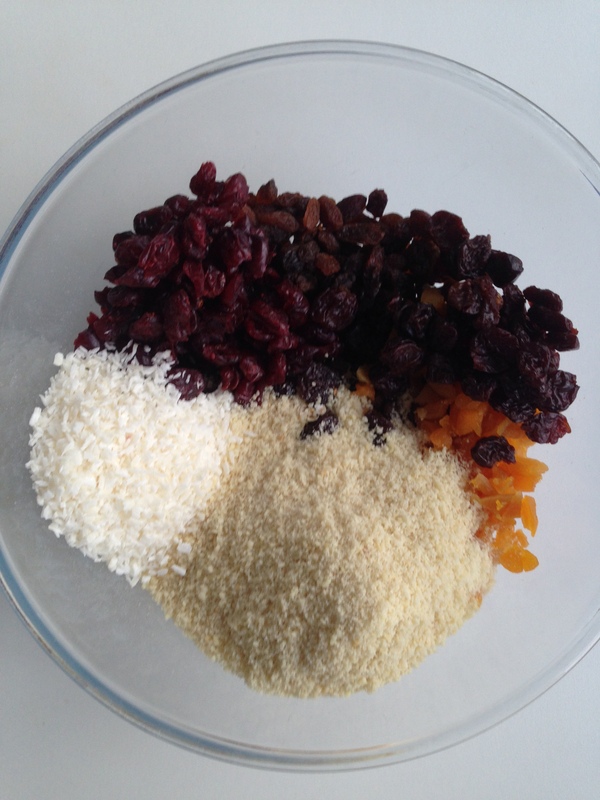 Tip the mixture into the baking tin and press down firmly so it is well packed down. It is a good idea to grease the back of a metal spoon and press it down with that. Bake for around 20-25 minutes, until golden. 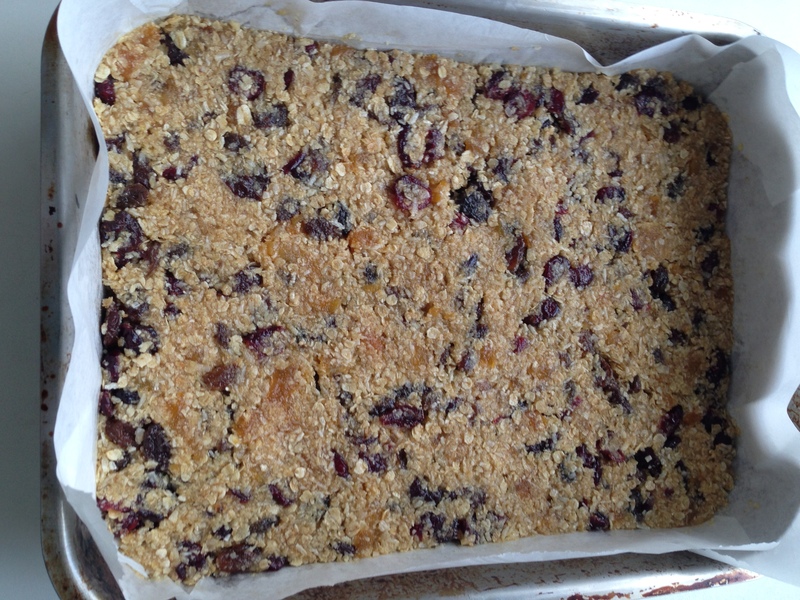 When the flapjack is cold remove from the tin, remove the baking parchment and cut into squares, bars or triangles. And if you are lucky they might even last more than a day. 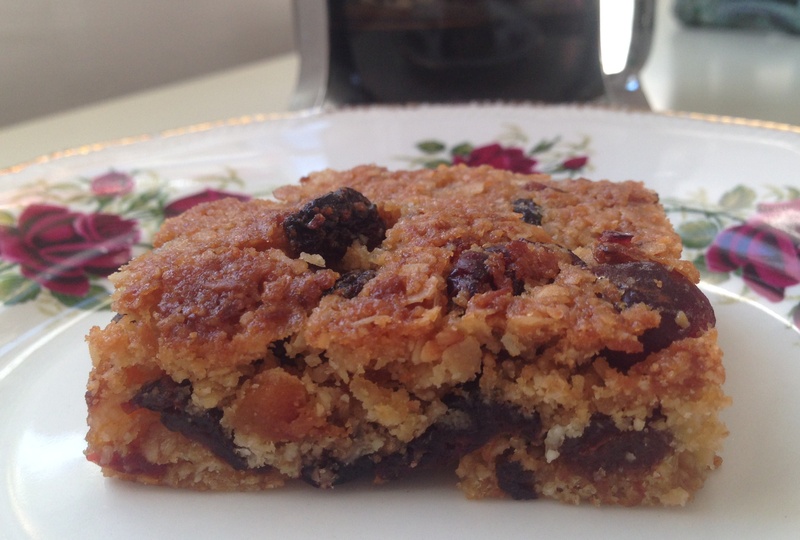 I can’t resist flapjacks – they look beautiful. They sure look yummy and very tempting. 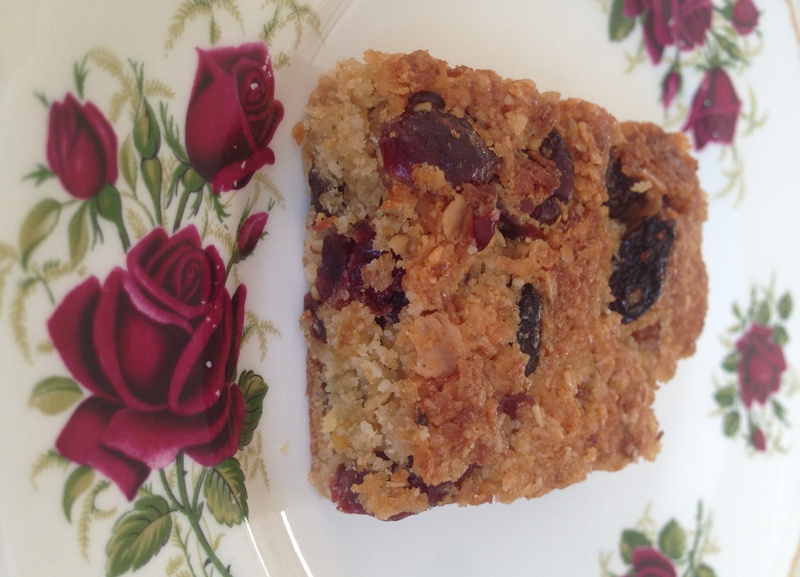 I have never tried making flapjacks, but looking at these pics I sure am going to try it. Thank you very much – I hope you enjoy them. It’s always good when it feels healthier! Interesting! I expected pancakes! 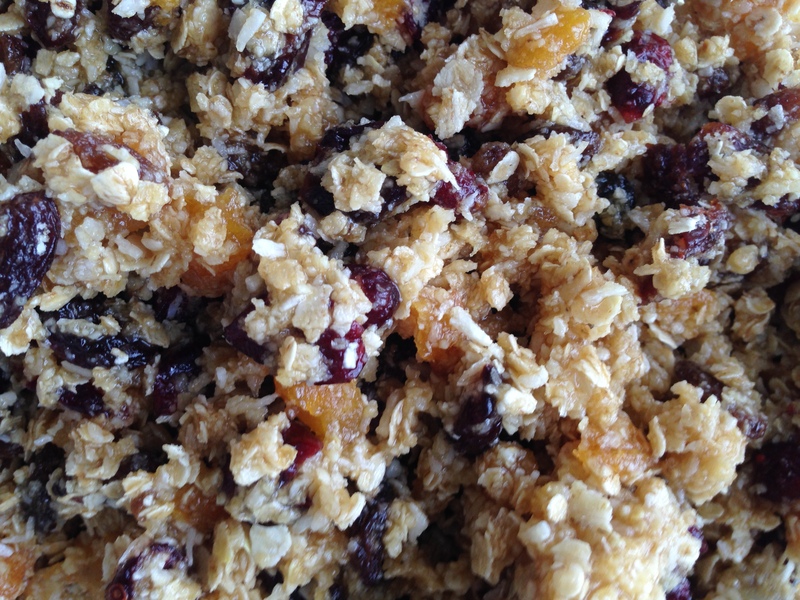 These are more like a baked oatmeal with goodies? They look wonderful! Hi, they are more like a granola bar, I think but chewy as well. Thanks!